Police say murderers of 70-year-old David Bar-Kapara had a record of terrorism; intended to rob him, then decided to beat him to death. 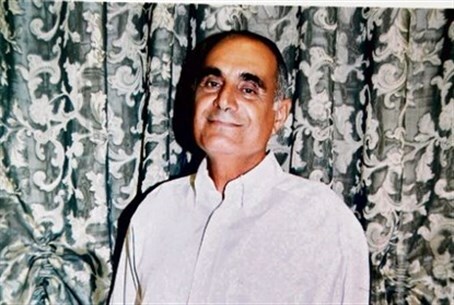 The murderers of David Bar-Kapara, the 70-year-old Israeli farmer beaten to death last month - had a previous record of terrorist violence, Israeli security sources have revealed. Shortly after the murder, the Israel Security Agency (ISA or Shin Bet), along with Israel Police, arrested two Arab men from the village of Beit Lakia, near Ramallah in Samaria. The pair confessed to the crime under interrogation. The two murderers have been identified as Mujahid Ali Mahmoud Dar Assi and Alla'a Harbi Abed Al-Fatah Assi, both 21 years old. Bar Kapara was found bloodied and beaten in an agricultural field between Pedaya and Carmei Yosef in central Israel and was evacuated by paramedics to the Assaf Harofeh Hospital in Tzrifin in critical condition, where he succumbed to his wounds some time later. The ISA highlighted the killers' previous record of nationalistic violence, particularly their involvement in riots and rock-throwing attacks against Israeli security forces. Investigators also revealed Mujahid knew his victim, having worked illegally for Bar Kapara on his farm. The killers revealed to interrogators that they had initially intended to threaten the elderly farmer and rob him of his money, and that they entered Israeli territory at 11:30 p.m. on June 23 in order to carry out their plan. They slept that night in Bar Kapara's field, preparing to ambush their victim the next day. At around 6 a.m. the next day they set up an observation post and watched Bar Kapara, tracing his movements and making sure he would have money on him. Upon watching him make a transaction, and assuming he would then be in possession of a large amount of cash, the two pounced on the 70-year-old, threatening him and demanding he hand over his money. When he resisted, they struck him repeatedly with a large wooden stick which they found nearby. The Arab attackers continued beating him cruelly until he fell to the ground and lost consciousness. Bar Kapara died of his wounds shortly after. The pair then fled on foot, having failed to find any money on their victim, and hitchhiked to Jerusalem, where they took a bus back to their home via Ramallah. After interrogation by ISA revealed their motives were criminal - despite their record of terrorist crimes - they were handed over to police. In a statement, the ISA said: "The cruel murder, carried out by the two (suspects), was carried out... in the context of an attempted robbery which got complicated. With that, in this context their involvement in popular terrorist acts prior to the murder, and the rise in terrorist attacks during the past Ramadan, must be taken into account." "The despicable murder joins a list of additional incidents in which Israelis were murdered by Palestinians for criminal motives in the past few years - for example the murder of Avraham Ben-Tzion during a violent robbery at the start of December 2014 at the Alon Interchange," the statement continued. "In these cases a prominent feature has been the cheapness of Israeli lives in the eyes of Palestinians, a fact which leads to physical attacks, sometimes fatal, on innocent Israeli citizens."